When your child is ready to start learning music, it is an exciting decision. As a parent, you may already know the many skill building benefits of studying music and you will want this journey to begin on a positive note (so to speak!) Helping your child choose the right first musical instrument will help make this experience fun and rewarding. At Winchester Stage Music Center we are always happy to help children and their families pick the most appropriate instrument. Here, we will provide a few factors to consider as your child considers her or his options. The violin is a great option to choose for a child’s first instrument. It’s light, compact and with regular practice, students will hear improvements quickly. A child’s age is probably the best place to start when you have decided to select their first musical instrument and begin lessons. Often, it’s best to start with the traditional musical instruments for reasons of size and ease of learning fundamentals. 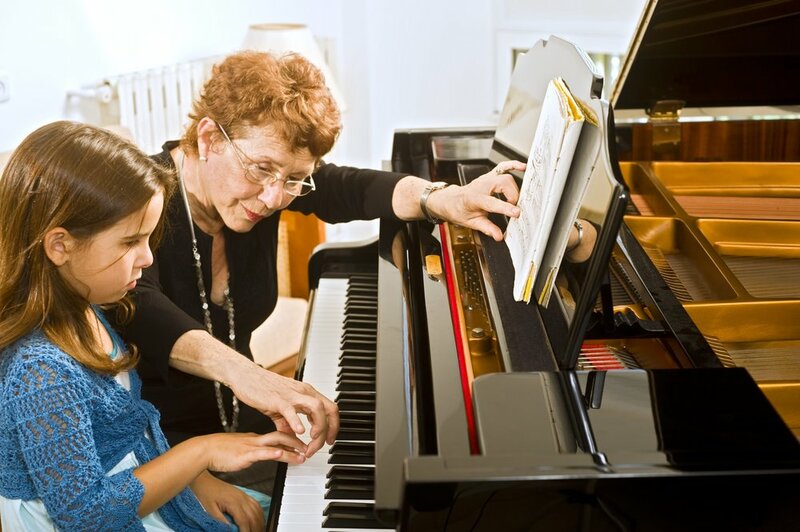 “Children under the age of seven often don't know what they want, so I as a professional, recommend piano or violin lessons,” says Rose Bogossian, the Owner of Winchester Stage Music Center and one of our piano teachers. Often parents wonder about the “right” age to even start music lessons. A recent Dutch study has shown that a child’s cognitive functions will experience a “boost” from regular lessons beginning at age six. For a child around the age of six, choosing a musical instrument like the violin which comes in smaller sizes, can help them feel more comfortable. The relative simplicity of the musical instrument’s design also helps them focus purely on the sounds and mastering the basics. While a piano’s keys can seem a bit more complicated, it provides a very visual representation of music, which can be helpful if your child is more of a visual learner, as many of them are. 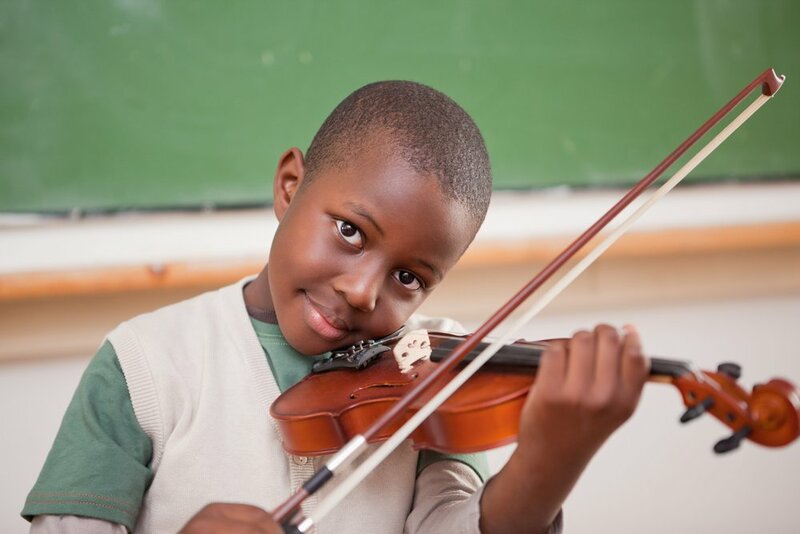 Whereas a violin is a good first instrument because students can start on a smaller size, the size of many other instruments can make lessons more difficult for children who are smaller in height and have smaller hands. If you want your child to stay committed to their music lessons, choose a first musical instrument that won’t be too discouraging. Quick successes and progress will keep your child engaged with their music studies. The violin is a popular first instrument as students can “see” the music on the keys in front of them. All things considered, the most important factor in a child’s success with music lessons is her own desire. The teachers at Winchester Stage Music Center are always willing to talk with you about picking a first musical instrument that is appropriate to your child’s age, size and learning style that will also engage his interest and hopefully start of him on a lifelong musical journey. How to help when your child gets frustrated with music lessons.